Blizzard has today shown off another of its updated designs for World of Warcraft, this time for the Trolls. 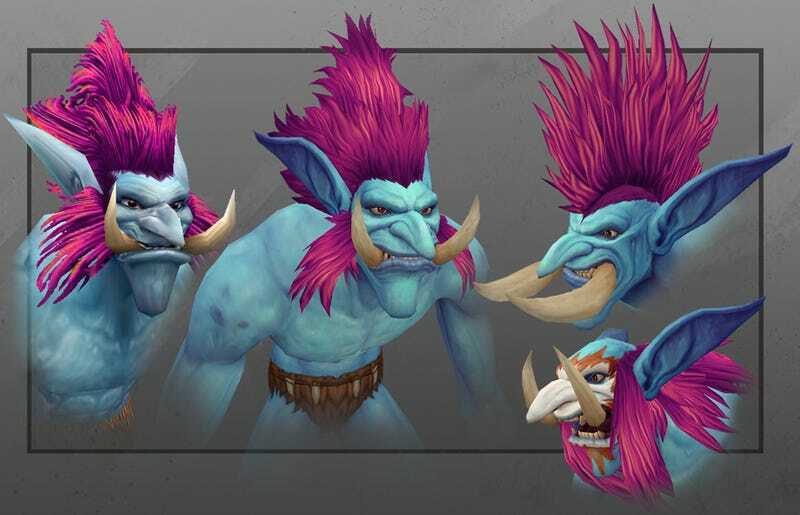 Thanks to some pretty stellar art design on the original, the differences between the old (shown on the left of each pic) and new male Trolls aren't that significant (at least until the customisation kicks in, anyway). Some extra polygons here, some deeper colours there, but mostly he's looking the same. The female Troll benefits a little more from the new design, with her face and hair greatly improved.